Beatshapers CEO Alexey Menshikov talks about the upcoming PS4-exclusive R.C. racer. You may or may not be aware of Beatshapers, the Ukraine-based development studio that helped bring Jetpack Joyride and many other ports to the PlayStation Network along with developing Z-Run and the BreakQuest series. Now the developer is back with Ready to Run, an R.C. racer game for the PlayStation 4 in Q2 2014 and which has a retro-futuristic tone to its atmosphere and design. Interestingly, this will be the first game in a new franchise which is currently exclusive to the PS4. But will it be heading to other consoles? What exactly is the game like, given the sparsity of details at this stage? 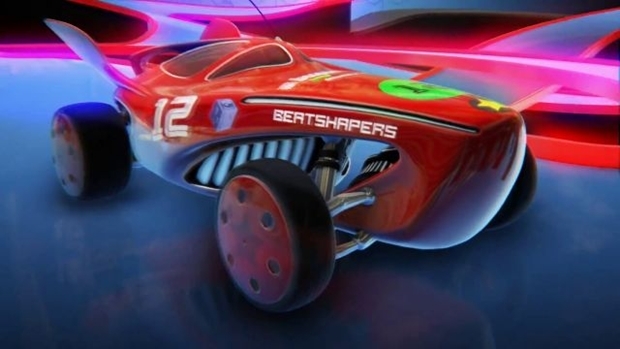 GamingBolt spoke to Beatshapers CEO Alexey Menshikov about the above and much, much more. Rashid Sayed: Why is Ready to Run exclusive on the PlayStation 4 and not Xbox One? Alexey Menshikov: Well, it’s timed exclusive and first platform. We are still talking about an Xbox One version as we are don’t have dev-kits yet. Hope to know more after GDC. Rashid Sayed: We haven’t seen much of the game yet, when can we expect some more footage or details? Alexey Menshikov: We are working hard on final render, we have the city geometry and all 15 cars already finished. I expect to reveal something in a month. Rashid Sayed: Will the game run at 1080p/60 fps on PlayStation 4? Alexey Menshikov: Currently it’s running at 1080 p60 but we might sacrifice some fps to have better visuals. "We expect to have few async modes but the first thing will be to race against for top times on tracks and against your friends. Each track has its own scoreboard with 10 best times, you will able to pick one and race against it. In future, players will able to send each other challenges and race against each other." Rashid Sayed: Can you please talk more about the single city environment that has endlesss track configurations, and how that will work? Alexey Menshikov: So the race happens in the retro-futuristic city. This is like every city which has network of roads. For the race we simply lock all other roads except currently selected track. For the next race we unlock another road’s configuration and so on. We found that a good alternative is to have 10-15 separate tracks. Internal toolkit allows us to quickly modify and add more tracks, so currently we have 40+ various tracks. Rashid Sayed: Will there be more than 15 cars after launch via DLC? Alexey Menshikov: That’s planned, yes. Can’t say how many though. Rashid Sayed: We know the game is targeted for second quarter of 2014, but can you give us a bit more info on the release date? Alexey Menshikov: When it’s done!. We are working really hard on game. Rashid Sayed: How do you like the PlayStation 4 and what do you think of the system having 8 GBs of GGDR5 RAM? Does this allow you to do more things with Ready to Run than you previously intended too? Alexey Menshikov: We totally love it. Having huge amounts of RAM gave us opportunity to reduce load times. The game loads very fast. Also with this horsepower we have on PS4 we can have more physics effects, more cars on tracks. Rashid Sayed: What kind of soundtrack can we expect for a game like Ready to Run? Alexey Menshikov: That’s the question we are working on right now as we are currently exploring different styles but I’d stuck with old school techno in modern sounding. Something like Underworld meets Daft Punk. Rashid Sayed: Can you please decribe how asynchronous multiplayer will work? Alexey Menshikov: We expect to have few async modes but the first thing will be to race against for top times on tracks and against your friends. Each track has its own scoreboard with 10 best times, you will able to pick one and race against it. In future, players will able to send each other challenges and race against each other. "We haven’t experienced any performance issues yet. Maybe when we finish our physically based rendering, we will have some issues but we ready to deal with them." Rashid Sayed: Why did you decide to make a racing game for the PlayStation 4 and not something else? Alexey Menshikov: There are 5 types of games that sell on consoles best: shooters, sports, RPG, racing and platformers. We are a small team and the choice was obvious. Plus there are not many RC cars games on the market. It started as a PSP game, than we ported it to PS Vita and then (mainly because of Motorstorm RC) moved to PS4. We also have 2 more PS4 games in production. You will hear from us soon. Rashid Sayed: Do you have information on pricing? Alexey Menshikov: Don’t know yet but it is not a AAA priced game. Rashid Sayed: From a development perspective, what are your thoughts on the PlayStation 4’s GPU? How has it helped in the development of the game? Alexey Menshikov: It’s very good to have platform with a lot of resources: we can have faster iterations (because of load time, fast memory access). Rashid Sayed: How have you tackled the slower core speed of the PlayStation 4? Has it resulted into any development challenges while developing Ready To Run? Alexey Menshikov: We haven’t experienced any performance issues yet. Maybe when we finish our physically based rendering, we will have some issues but we ready to deal with them. The wonderful BitSquid Tech is powerful on these matters and we are working with their engineers closely.